The Edublogs support team regularly receives complaints and official requests to remove copyrighted content that users have placed on blogs. If you and your students keep rule 1 in mind, then everything else should be fine. That simply isn’t true, and we’ll cover our favorite sources of “fair use”, “public domain” and “free to use” resources at the end of this post. It is troubling that while copyright is important to protect the hard work of others, it can also stifle creativity and hamper educational goals. For example, a video that was purchased in a store can usually be shown in a classroom when the video is tied to the curriculum being taught. Otherwise, showing a class full of students a video would be considered a “public performance” and would be against the law. Curriculum docs and PDFs – especially handouts, student activities, chapters of textbooks and music sheets. We were once notified about a teacher with a blog on Edublogs that had a harmless world map image on his blog that he had presumably found using Google image search. When we contacted him telling him why we had removed the image, he asked if he and his students could write an apology letter to the copyright holder. Creative Commons, founded in 2001, is an organization which provides free content license known as a creative commons license that people can apply to their work. If an image, or website, doesn’t include a Creative Commons license, or isn’t public domain work, or indicates that the content is free to use than it automatically implies all content is copyright and you shouldn’t use! Unless a blogger includes a Creative Commons license, all content on that blog is automatically the copyright of the blogger. One thing to look for when figuring out if an online resource (ie. image, video, text, etc.) 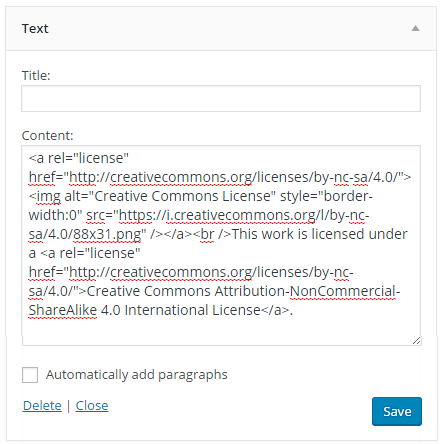 is free to copy or embed on your blog, is to look to see if there is Creative Commons license. This is what a Creative Commons license looks like! Anything you create with the content, you must use the same license. Watch this video for a summary of the different creative commons’ licences. 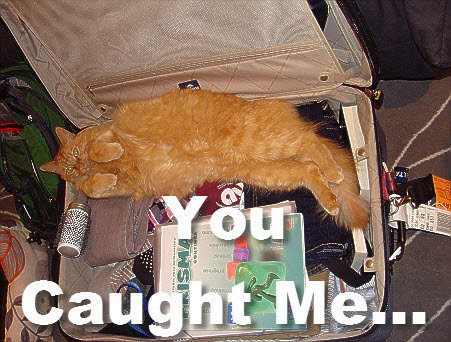 One of the most common sources of Creative Commons images used by bloggers is Flickr (an online photo sharing website). Unfortunately many assume Flickr images are licensed under creative commons and allowed to be used. This isn’t the case. Images marked as “All Rights Reserved” are copyrighted and require permission from the person who uploaded it to Flickr. Images with “Some rights reserved” means the Flickr user has applied a Creative Commons license to their photo and you can use the image in the manner specified by the license. If you look at images directly on Flickr always check to see which license applies to ensure you only use the image in the manner specified by the license. Compfight – It provides a range of search options including search by tags only vs. all the text, licenses, the option to show or hide originals and turn on/off the safe content filter. Photos for Class – A student friendly place for searching safe images from Creative Commons Flickr. The downloaded images include attribution of the photographer and the image license terms. Multicolr Search Lab – Allows you to search Flickr images by color. This is a handy tool when you’re trying to match specific colors. All you need to do is select up to 5 colors. 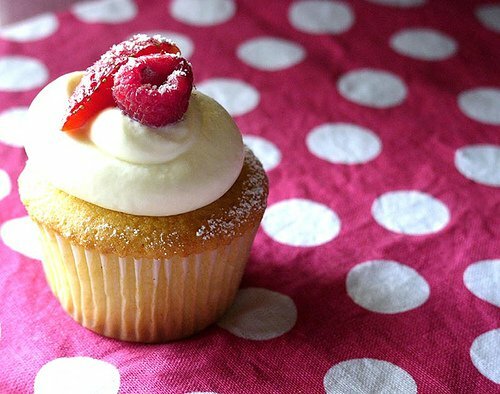 Within or at the end your blog post you must attribute the image, include their copyright information and you should link the photo back to it’s original photo page. Photo by Chotda licensed under Creative Commons Attribution 2.0 Generic. The Compfight Safe Images plugin – you’ll find instructions here on how to use. 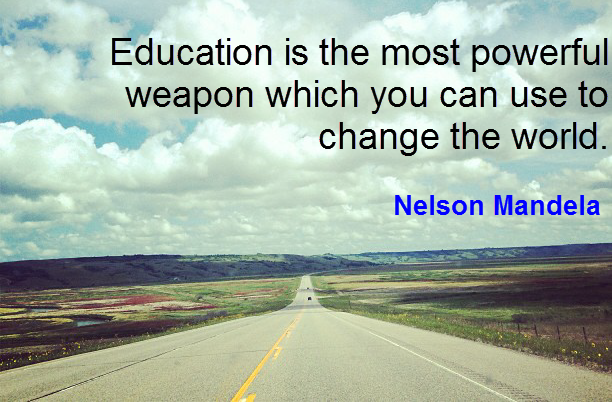 Some educators like to take photos from the Internet and combine them with text or edit the image to remix it. This is allowed provided you’ve attributed the original work, their Creative Commons License allows derivatives, and you’ve shared using the same Creative Commons License. Here’s of how you attribute material from which you created a derivative work. This work is a derivative of ‘Sask Scene‘ by Alec Couros used under CC BY 2.0. It is licensed under CC BY 2.0 by Sue Waters. You’ll find more detailed information on best practices for attribution here. What are Free and Public Domain Images? Public domain images and free to use images may not have a strict legal requirement of attribution, depending on the jurisdiction of content reuse, and depending on the terms and conditions of use of content from the website, but attribution is recommended to give correct provenance. This means within or at the end your blog post you must attribute the image, include their copyright information and you should link the photo back to it’s original photo page. Pixabay – A curated repository for finding and sharing public domain images. All of the images on Pixabay can be used freely in digital and printed format, for personal and commercial use. Attribution to the original author is not required. Openclipart is a gallery of clip art images that have been released into the public domain that can be used freely, for personal and commercial use, without attribution. Wikimedia Commons – Media file repository for public domain and freely-licensed educational media content, including images, sound and video clips. Images and other media on Wikimedia Commons are almost all under some kind of free license (usually public domain, CC-BY, CC-BY-SA, or GFDL (GNU Free Documentation license) and may require attribution. The Commons – Set up to help share photos and images from the World’s public photography archives. Once you’ve located an image on The Commons you should click on the ‘No known copyright restrictions’ beneath the image. This takes you to the Rights Statement for the Institution who supplied the image. This is where you’ll find information on how the institution would like the image to be attributed. Getty Open Content images – Are all available digital images to which the Getty holds the rights or that are in the public domain to be used for any purpose. No permission is required but they request attribution. Getty Images – An American Stock photo agency which allows their images to be used for free for non-commercial use. Getty Images have no relationship with the J. Paul Getty Trust and the Getty Open Content images. Getty Images can be embedded into posts uisng their embed code. Video is more confusing than images because you see a lot of remixed videos online or videos using commercial music especially on YouTube. That being said, you (or your students) can’t necessarily use parts from videos on YouTube (or other sources) to make mashups or as part of another video. If you use any video that you are cutting, making changes to, or adding to a project, or adding audio, it is better to use creative commons content, free or public domain content or request permission from the copyright holder. You can’t upload student resources from most textbook companies or purchased curriculum – so be careful and make sure you have permission before doing so! In private or for-profit institutions, how can we use images and video, if at all? Is it even okay to use YouTube videos in class? What about online articles? Is there a difference between a class of paying students and a training delivered to teachers? First, any images, videos, or content under a Creative Commons license will let you freely use the material with your student, you just may not be able to turn around and sell any changes you make. Any video on YouTube should be fine for showing in class, and if an image is on the web, you can always display the website that contains the image – where the line is drawn is on copying that image and pasting it on your own blog or website. Can the onus not be placed on those who post these potential classroom materials, to make it clear who can and can´t or used for and not used for, surely this would be the least time consuming option. Excellent point! Awareness of copyright and the importance of website owners to make it clear their licenses is improving. I think sticking to trusted sources and using filtered searches is the safest option. If you can’t use images from the internet why is it that google can group all the images together for people to use? Is there a straightforward way to get the permission needed to use a ‘clip’ from a you tube video? I’ve seen people leave a comment on the YouTube post, but there is no guarantee you’ll get a response. Some YouTube videos are licensed under a Creative Commons license, and there is an advanced search filter on YouTube that would let you search for these. If you find one, you could use it without permission as long as you follow what the license allows (ie. provide attribution and not make money on the project). Not so much a question, but Elijah left an excellent comment down below remind us that this is exactly why our libraries can be such valuable resources. Libraries have access to tons of licensed materials and librarians are specially trained to help us navigate the difficult copyright laws. Thanks, Elijah, for the tip! When I get permission to post something that’s been copyrighted, am I supposed to share it a certain way so others that I have permission to use? The answer here really depends on the license of the original content and the agreement you have with the original owner. Most of the time a link back to the original works perfect. The location of the link could be in an image caption, in the text itself, or at the end of your piece (like the “References” section of a formal paper). Maybe APA/MLA/etc. should come out with a set of web publishing guidelines that include citations and reference lists! How would something like that even get started? Can students read published books aloud, record themselves & publish recording on class blog? However, many books are in the public domain – including most books written before the 1930s. These are all of the free books you see in the e-reader stores. Students would be free to record themselves and publish any book in the public domain. It should say somewhere near the beginning of the book if it is in the public domain (where copyright and publisher information usually goes). And to finish with! Luckily, the CreativeCommons.org website has a ton of excellent information and makes it easy to grab the license you wish to have on your own blog. If you (or your students) have blogs, then it is a good idea to choose the most appropriate license and make it visible on your blog. This a great activity for teaching students about Creative Commons licenses while telling others how to use content on your blogs can be used. 1. 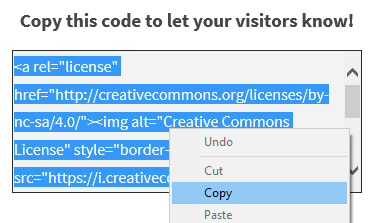 Go to Creative Commons Choose A License page. 2. 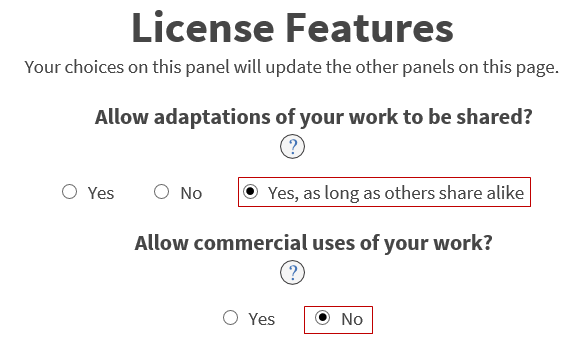 Select your License Features by clicking on the check boxes next to your preferences. Below is the license features you would select if you wanted to add a Creative Commons Attribution-NonCommercial-ShareAlike 4.0 International License. You’ll find more About the Licenses here. 3. Scroll down to ‘Have a web page?‘ and copy the code. 5. Add a text widget to the desired sidebar. 6. Paste the code into the text widget. 8. You should now see the widget in your sidebar. I purchased audio CD of a book that about 16-125 students in regular classes as well as special needs classes will be reading. We use a platform that allows teachers to post schoolwork, tests and information for students that may be accessed at school as well as away from school.The question is, can the audio of the book be posted to the platform so that students may access it any time they feel they need to do so or should we follow rule of breaking it down into portions and deleting before posting the next section. Good question, Carole. The audio CD of the book may have its own copyright with specific uses on it somewhere? Perhaps that’s worth investigating or check with the publisher for the specific terms. It’s very likely it would be breaking copyright rules to allow students to download the audio but embedding for student use may be a different matter. Good luck finding out! I am a secondary education teacher and have several struggling readers in my class. Is it copyright infringement if I make an audio version of a published book for my students assuming I can’t find a version online? This was an excellent article that answered a lot of questions I had about copyright. I found the video links to be very useful and informative. I also look forward to using the photo and video links when making presentations. I plan to share the information that I learned in this blog post with colleagues and students. I really enjoyed the videos. I learned a lot of things I was taking for granted. Hello, thanks for a great article! Maybe a little off topic, but what about using celebrity names in training curriculum? I have always shied away from using names of famous people (living or not) as an example in a training doc and instead use John Doe or Jane Smith. Any thoughts around this? Hi Mary, I’m not sure but your approach sounds safest! Thank you for this post. I learned a lot about copyright and creative commons that I didn’t know. This was wonderful. Thank you for the article. I am writing a study guide to sell. Do I need a copyright permission even though the work is my own? if I use a quote from the text does that need [permission? For the purpose of selling something, it’s always good to get some independent legal advice. Good luck with your study guide! It is my first year teaching PhysEd and I would like to make posters to put up in the gym. Is it illegal to use google images and quotes for the posters? Hope your first year of teaching Phys Ed is going well! It’s definitely always a good idea to use free images from sites like Pixabay or Openclipart. Quotes are fine to use and illustrate however you like. You might like to check our post on quotes to find out more about using them. My friend Andy Hair is a Phys Ed teacher who likes to make a lot of posters and other resources. He often uses a free tool called Adobe Spark. How about the homework problems after each chapter in the textbook? Can I post a particular problem and solve the problem myself and share the solution with my students on my blog or video? it’s all so complex.. bit clearer now, though, thanks! but what do you make of these youtube to mp3 converters? how do they count toward fair use? or creative commons? i’ve seen around people say that technically while watching a video your computer makes a copy of it, thus when you intentionally do that – you’re just copying that behavior, and legally this becomes unclear who and what.. it seems others are convinced, that if you use such sites, you are simply breaking youtube’s TOS, which is not a felony, but could still be pursued in civil court, which could in turn result in very negative consequences..
i recommend keepvid, they only deal with no-copyright stuff, check it out. As a history teacher, what about historical images? Like Washington Crossing the Delaware, or other historical cartoons? Photographs of Presidents? If I’m creating worksheets that help students analyze political cartoons where can I get the permission from? There are a few sources to find historical images. Personally I find Wikimedia Commons a great resource. You just have to check what it says about licensing for each image. This image, for example, is in the public domain which means you’re free to use it. If it had a different type of Creative Commons license it would tell you what it is and you’d attribute it accordingly. We have a teacher requiring my son to upload a video of himself to his blog. He is a minor and there has been no parent consent for this project. I told her that he will not be doing this, but got to thinking can an authority figure ask this if a student without seeking parental consent? Know this may not totally relate to this article but hope you might have some insight. To the best of our knowledge, schools worldwide should be required to ask parents for consent before blogging. We certainly recommend that teachers make it very clear to parents what they would like to do on the blog (including using photos/videos etc). Teachers should also be respectful of parents’ decisions. Perhaps have a chat to their school about their policies on this. From our perspective, you should certainly be having input in what you’re happy to be posted on your son’s blog. This is very helpful. 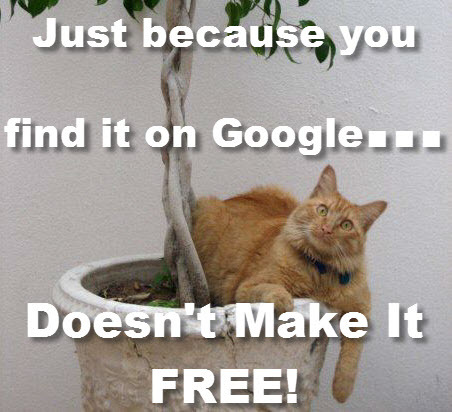 I need to go back to some of my students who downloaded a Google Image to add to their blog. I will be giving them the handout to walk them through the legal way to get images. I too did not know about using google images for student blogs. Hi there, thanks for this! I teach ESL, and want to create supplementary courses for my students. Basically, it’s like book clubs, but with television shows, and students pay for the course. I was wondering if you knew where I would find any legal information pertaining to this. Any help would be appreciated. Thanks! are fair use and creative credit same? Do you mean fair use and creative commons? If so, the answer is no. Fair use applies to education and doesn’t apply to use of content online. While creative commons does. Glad to have found your information….hope you can help! I work with a non profit international garden club organization and have made a collections of ten documents for which I downloaded plant material images from the internet images that had no signature or watermarks and made them interactive for the purpose of testing educational knowledge of horticulture. The intent is to place these documents in the Clubs website where our members can test themselves. Is this legaly allowed? I hope you will be able to give me some advise. May I ask your advice on this? I’m planning to teach idioms/ useful English phrases from different movies, compile them and sell them as video course online. Perhaps, 10 seconds from each movie. Would there be problems with that? I will definitely mention all the movie titles that I would use. Thank you for your reply. Hey Jet, did you ever find an answer to this question? I’m planning to work with TV shows much in the same way you are doing your courses. Would love to know what you found out! Good article! Extremely informative. Thanks for posting. Great information! May I post a link to this entry on my school website? I’m a new technology coach in my district and I need to raise awareness of this issue with my teachers. Thoughts? Yes, feel free to share our posts and help docs. Not being a copyright lawyer, I can’t say for sure. To be totally safe, I might use photoshop or another editor to blur the image on the shirt or maybe just add some solid color on top of the logo that matches the background color, etc. That way you can use the image without worry. This is AMAZINGLY helpful! What guidelines do you have regarding sharing and posting of this content? I work for a non-profit and take my own pictures of our networking events. I’d like to add some of these images to our website. Do I need to acquire releases from every single person in the image before I post it? I want my students to make PowerPoint presentations that have music playing in the background. These projects are strictly for school-only and will not be published on the web in any way. It is my understanding that because the projects will not be published publicly, that Fair Use for Education allows us to use popular music in this way, as long as we give the artists’ proper credit in the Works Cited. Am I correct about that? Or is that illegal usage of their music? Some further context of my question: we did this project last year, and we found the music on YouTube and then used the http://www.youtube-mp3.com website to download an MP3 of the song, then inserted the MP3 into their PowerPoints. I was planning to do the same thing this year, but it turns out that my school district is now blocking the youtube-MP3 convertor website. I think it’s blocked because of misunderstanding the Fair Use policy, so if I am correct and this really is legal, then I want to ask them to unblock it. But I cannot find a clear explanation that explains the legalities of using popular music for educational projects that will not be published publicly. Please help!!! First, I compliment you responsible for this site. It is a helpful initiative. Although I read the questions and contents of this page, I still need to ask a question that may overlap to the ones already made. I work at a Public University (non-profit institution) and I commonly use data and images scanned from books or from scientific articles downloaded from the internet. I use these in Power Point files that are presented in classroom and what are available (only) to the students at the University web site. Up to the present moment I had no problems with this, but reading your posts, I am concerned in not infringing the Copyright laws! Considering that, is that alright to use the information/images the way I mentioned as long as I do reference the authors and year of the publication (or the web page) of the content that is used? Should I mention the Journal or Book I am using to withdraw the information? I work in a private (nonprofit) school working with students with special needs. I create many electronic materials for our students with several authoring programs. I often use Google images for my activities and place them in classrooms for teachers to use. Often they are used with electronic books that I author. I am very hesitant to put them on our school server’s because of possibly violating copyright laws. Can you please send me some information if that is a violation of copyright. If I site the source where the pictures came from, does that help. I just want to make sure I am within fair use for educational purposes. Thank you. What a great and accessible article this is. Just a quick note, the link in “For more, check out the Fair Use FAQ for Educators here from the excellent resource site, TeachingCopyright.org.” is broken and you might have forgotten to place a .html into the hyperlink. Your examples are all CC-BY-SA-NC, but you don’t point out that a NC licensed image is almost useless. It cannot be used on any web site that carries advertising or solicits money, which leaves out almost all the Web except personal sites with no advertising. It can’t be used in print unless the printed work is distributed free of charge. It can’t be used in an educational setting unless the school or event is completely free of charge. This is an excellent resource! I learned a lot, but I am still confused about in-class resources. What are the rules for using a picture for in-class PowerPoints? Are there different rules if I provide the slides for students verses if I don’t? If I don’t provided print copies, can I use random pics for visual aids? I am a Spanish teacher and there has been a large shift in the past 5 years away from using textbooks towards using authentic resources like Youtube videos for listening and Blogs for reading comprehension. How can I legally use other people’s blogs in my Spanish class if all my students cannot access the website at the same time? Can I use the text and photos? How to I cite this? What would I do if I wanted to share these materials with other teachers? I know this sounds like a jumble of thoughts but I have been stuck on this for six months! Hi Christina, the best thing to do is just send the students links right to the original source (Youtube, blog, website etc.). This way, you don’t need to cite or have permission to use anything, you just send the students right to the content. Does that make sense? I think that this was really useful and really cleared up things I was stick on for copyright laws. Thank you for simplifying this for me. Thanks for this post. Such an important concept and a bit complicated to enforce! I’m trying out the CompFight add-on on my blog…really like it!! Wow! This has to be one of the most comprehensive post I’ve read on this topic. Lots to digest. I am glad and very thankful for all of you for compiling this valuable resource. I am also glad that I joined the EdublogsClub. that is sooooooooo cool!!!! i am a primary student.Nice to meet you! I am a classroom computer teacher, and our curriculum is teaching MS Office. I have my students do powerpoints, business cards, flyers, letterheads, etc. Is it legal to use images for classroom use only? They will never be published or used outside of the classroom. Great guide! Thank you for sharing. Have you thought about licensing it under Creative Commons? Thank you for providing this excellent information. It offers readily available resources for me and my students to learn and comply with copyright laws. Thank you Sue! Your post is essential reading for all educators and their students. You’ve done a terrific job of curating the critical pieces and explaining how they pertain to school use. I am sharing this with my entire faculty! Thanks for your comment and glad you found it helpful. I can’t take credit for the post. The post was originally written by Ronnie Burt, my work colleague, in Jan, 2012. I’ve taken the content, comments and structure from his original post and built on it by adding in additional information I’ve compiled over the years for the Teacher Challenge Series. I realized during the night that in my rush to get the finally published that I had forgotten to add that information into the post so added it this morning. Yes, may we share this with our colleagues at school?